Variants CV-38: 200 converted from 1942, the CV-38 had versions carrying 13.2mm M31 Breda Machine Guns and 20mm Solothurn & 20mm Anti-Tank Rifles. 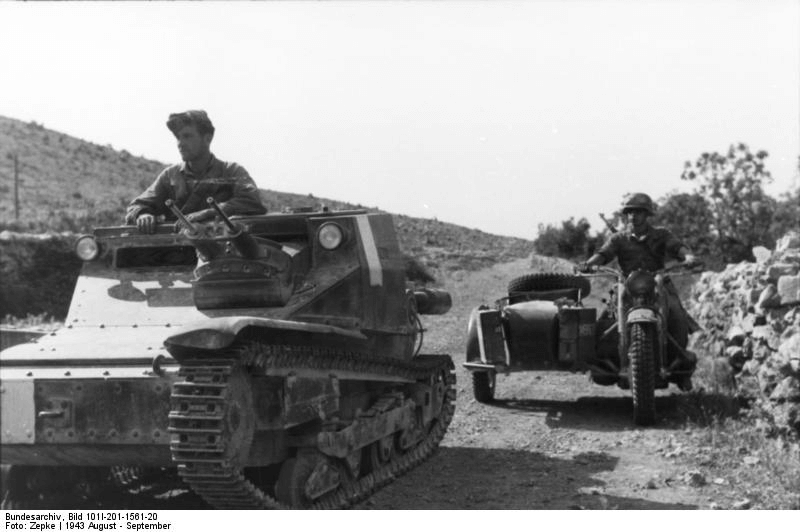 L3/35 Lanciaflamme: Armed with a Flame-Thrower instead of Machine Guns. Notes The CV-35 was light two man tankette and armed with two machine guns. It was initially known as the CV-33 and armed with a single machine gun. It was totally inadequate for modern warfare, but served in Italian armoured division in the early years of World War Two. It saw action on every front were Italian units fought but was gradually withdrawn to secondary fronts.